Go Rhino truck bed rails give your truck more personality and style. 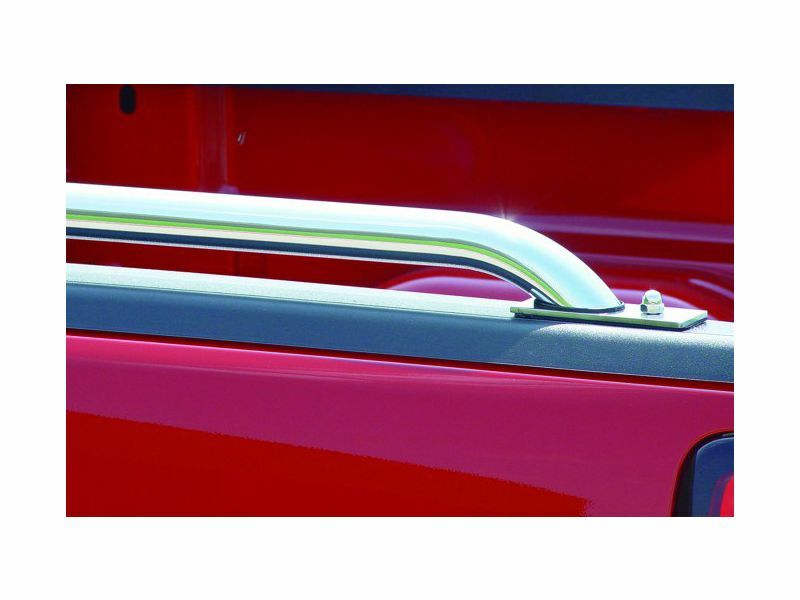 These stainless steel, chrome and black truck bed rails are made from high quality materials and install simply and easily without any drilling, into your truck bed stake pocket holes. Go Rhino makes their bed rails for many of today's popular pickup trucks and offers them in three finishes. Go Rhino also makes universal-sized pickup bed rails in several different lengths to accommodate trucks with tool boxes, racks or pickups without stake pockets. Universal-size bed rails require drilling to install. Go Rhino offers a limited lifetime warranty against defects in materials or workmanship on all of their polished stainless steel bed rails. They also offer a five year warranty against defects in materials or workmanship on all of their chrome and black truck bed rails. The Go Rhino truck bed rails offer an easy at home no drill installation. For additional information please call us at 1-877-216-5446 or 701-253-5906.